Chelsea were dominant in the first half and they should really have gone in ahead. After various chances Eden Hazard and Willian linked up beautifully on the counter and put the Blues up. However Manchester United were forced into action by the goal, and soon stuck back through Romelu Lukaku in the 39th minute. Hazard even had a chance to put his side ahead before the break, but he took an extra touch when he should have hit it early. 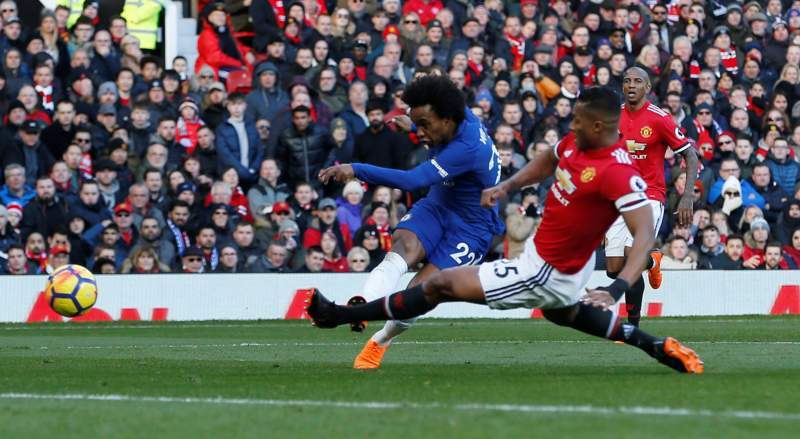 The second half had a different feel to it, with United coming out in a more solid block and Chelsea looking increasingly happy to take a point from the match. But after 75 minutes the Blues switched off for a moment and sub Jesse Lingard took advantage, nipping between Christensen and Drinkwater to head home. Conte’s decision to take Hazard off shortly before was made to look extremely premature, as the Red Devils held on to win.